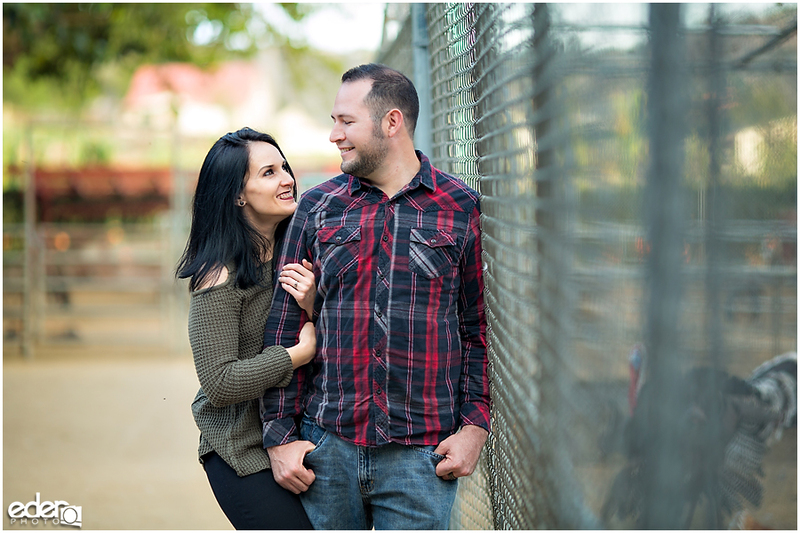 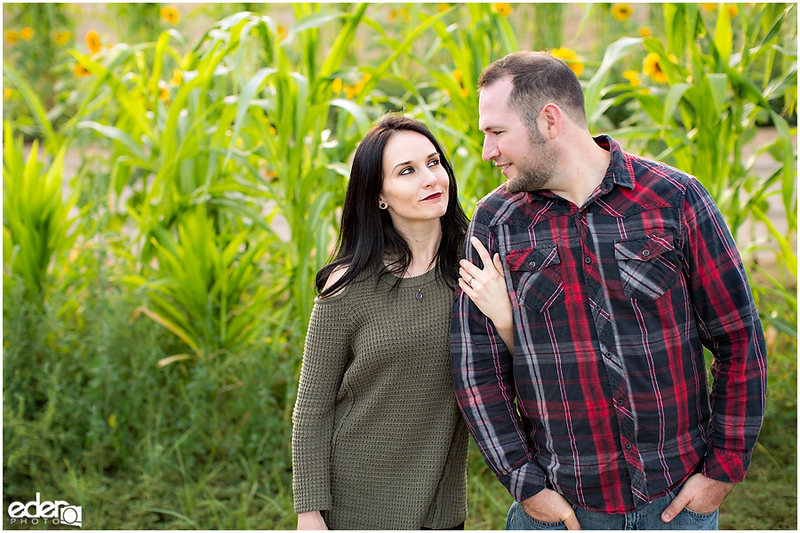 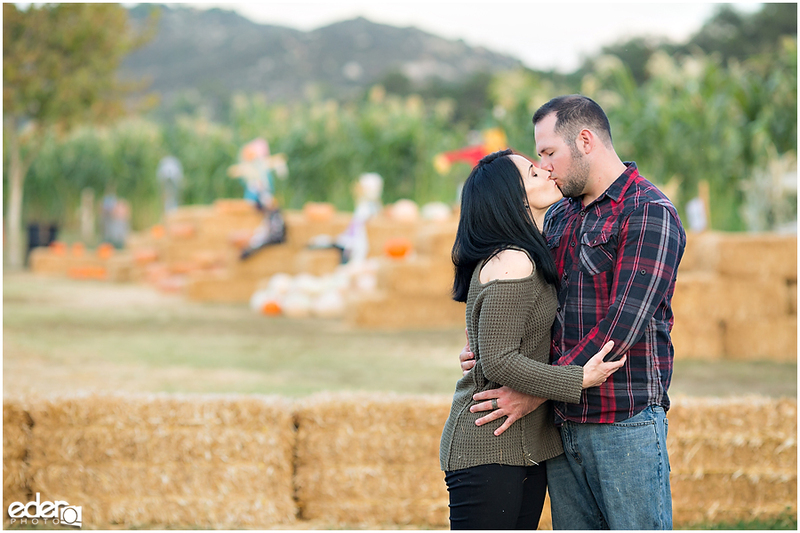 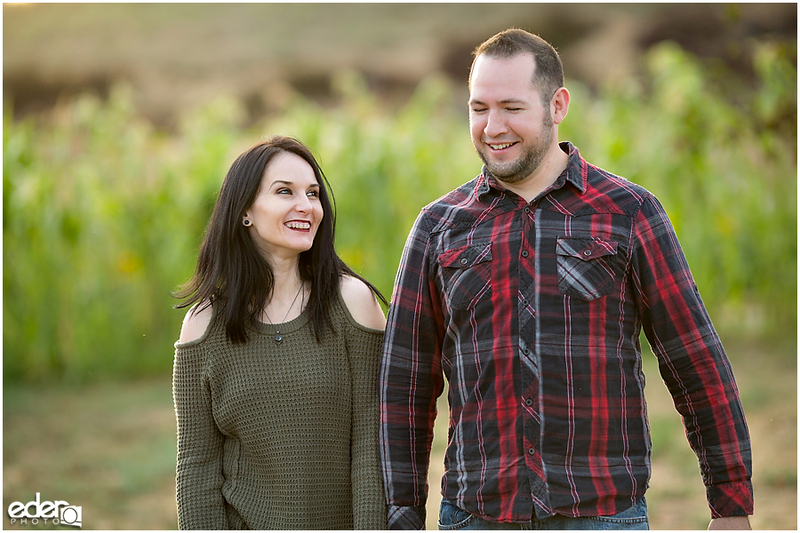 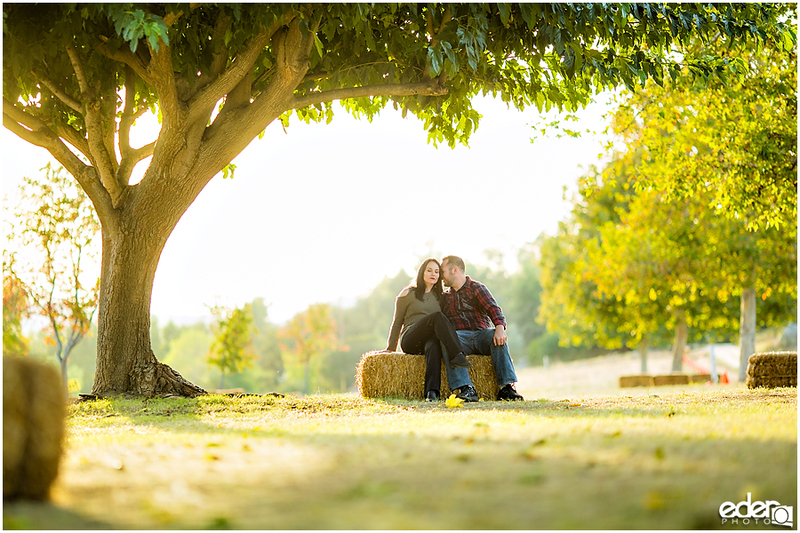 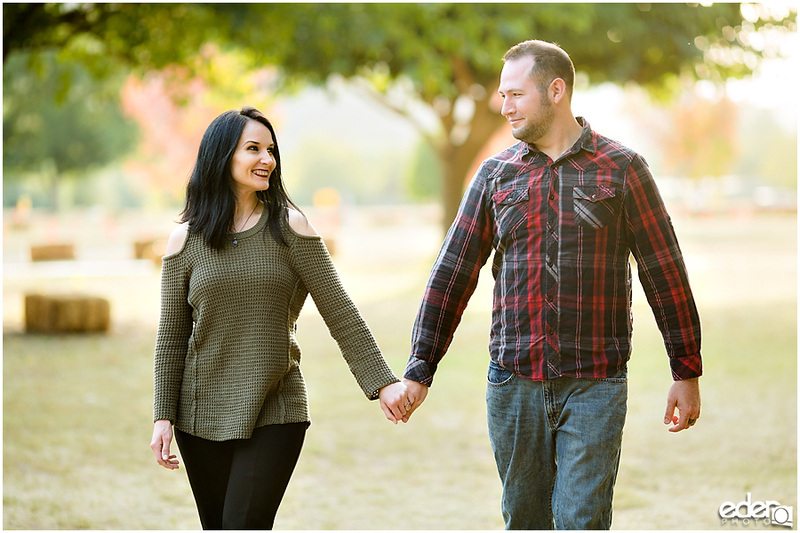 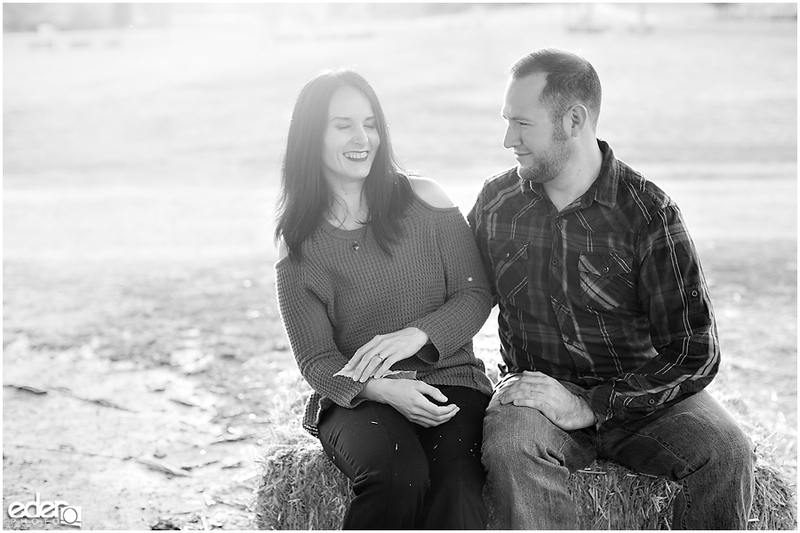 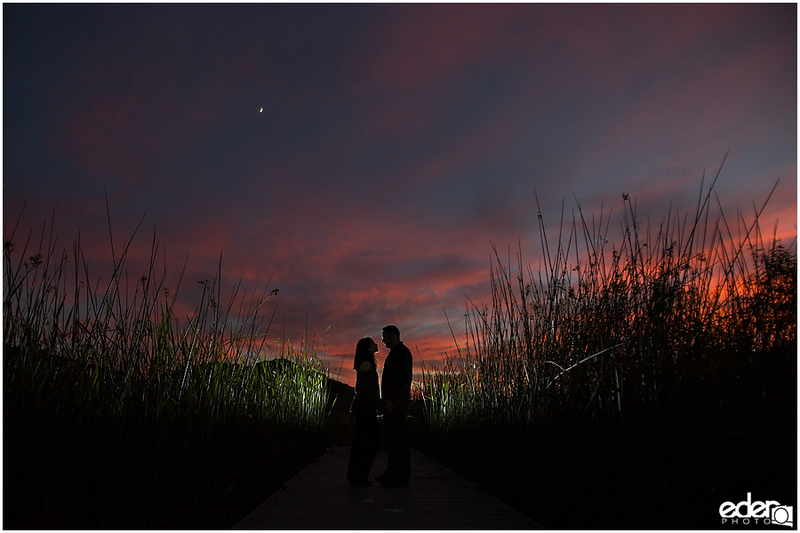 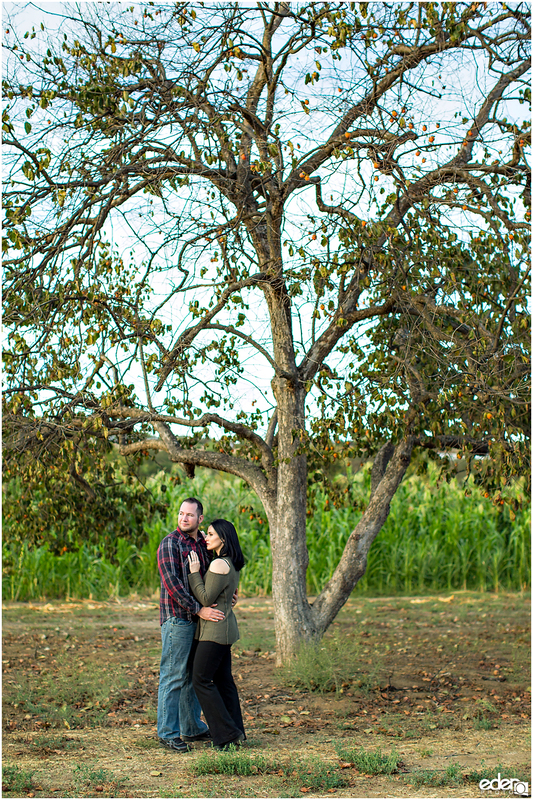 With Jordan and Heather, we bounced several ideas around and came up with doing an Escondido Engagement photography session at Bates Nut Farm. 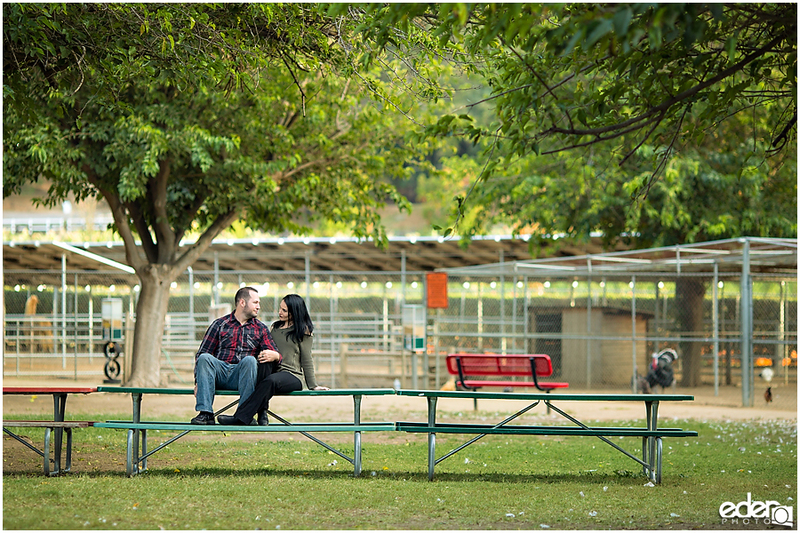 It is cool going to locations that are not just scenic but also provide a cool experience. 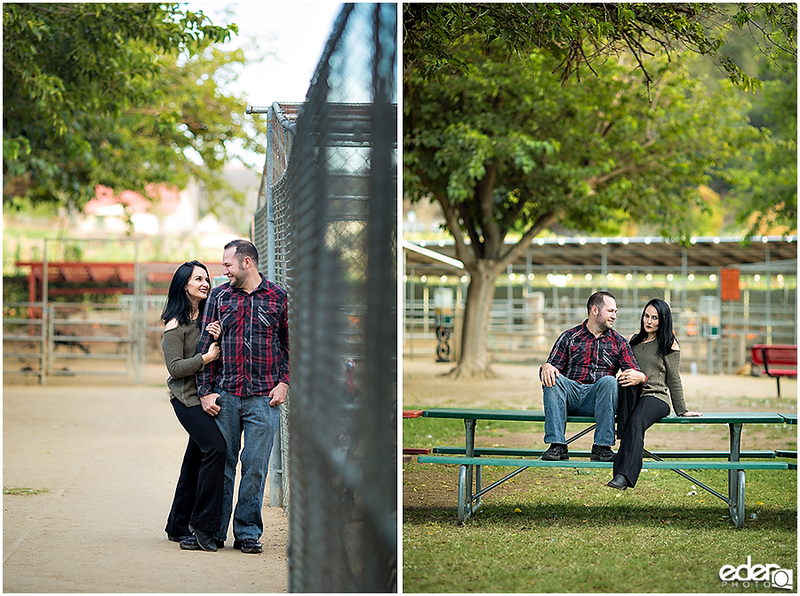 When I walked up they were having fun looking at all the animals. 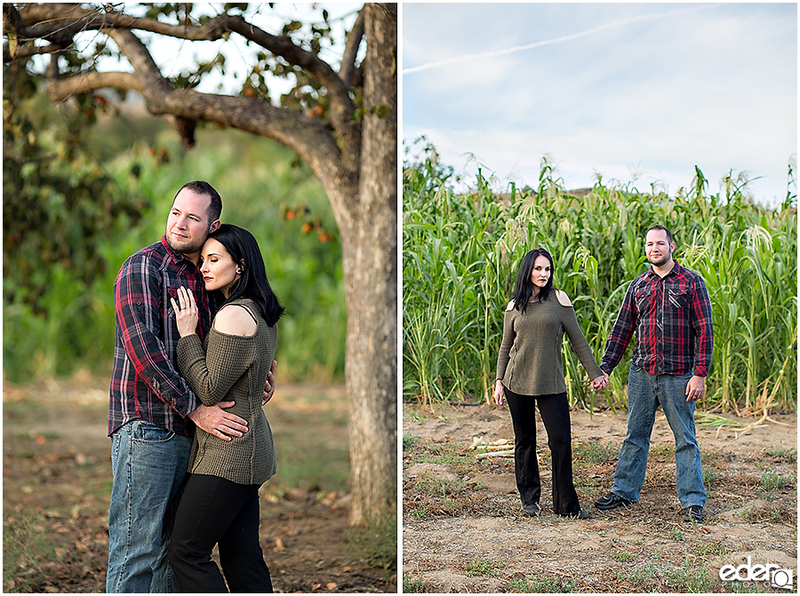 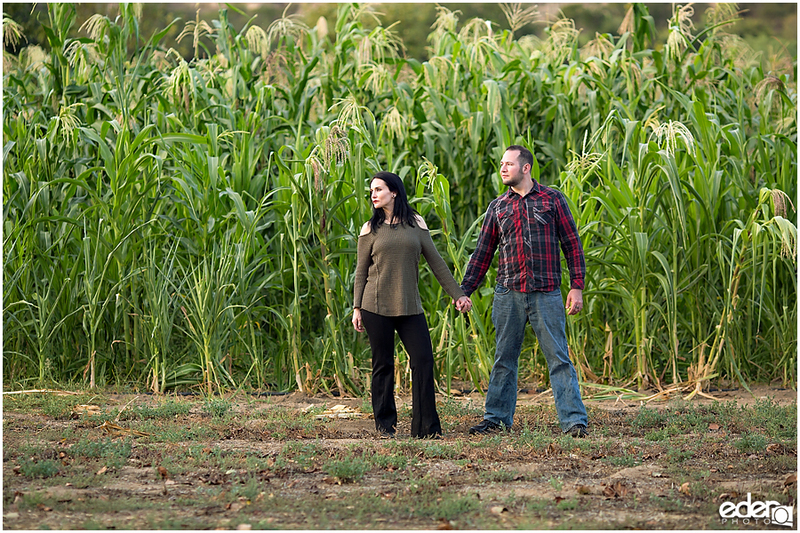 For their session, we walked around the farm and used some of their open land. 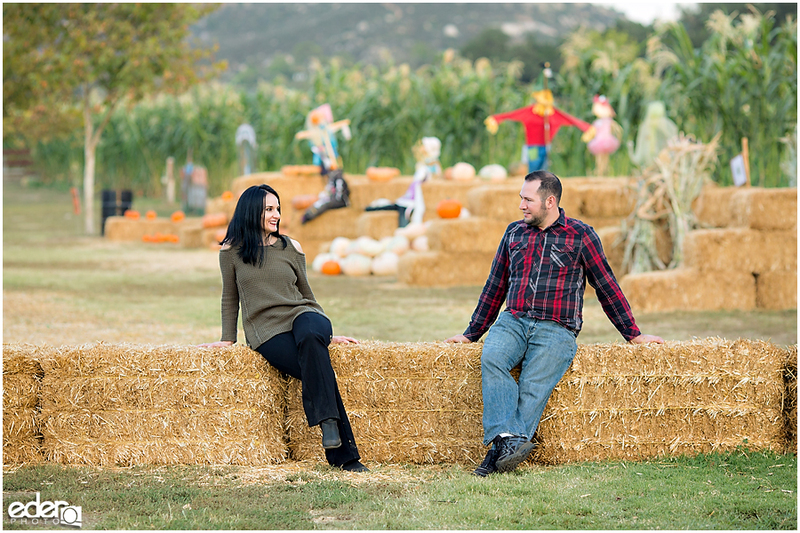 The farm has lots of trees and since it was the time of year that they have the pumpkin patch they had seasonal decor including bundles of hay all over. 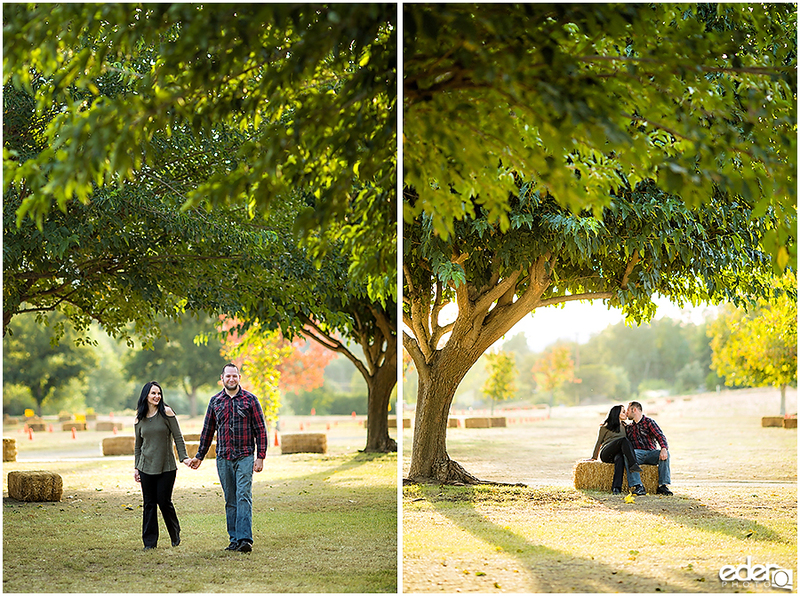 For most people, being comfortable in front of the camera does not come easy. 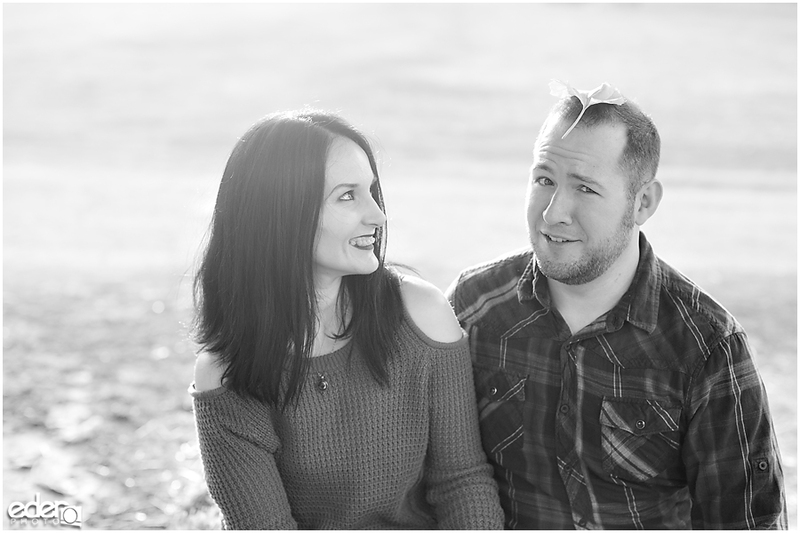 But by focusing on each other and not the camera their personalities came out and we got some great portraits of the two of them interacting with each other. 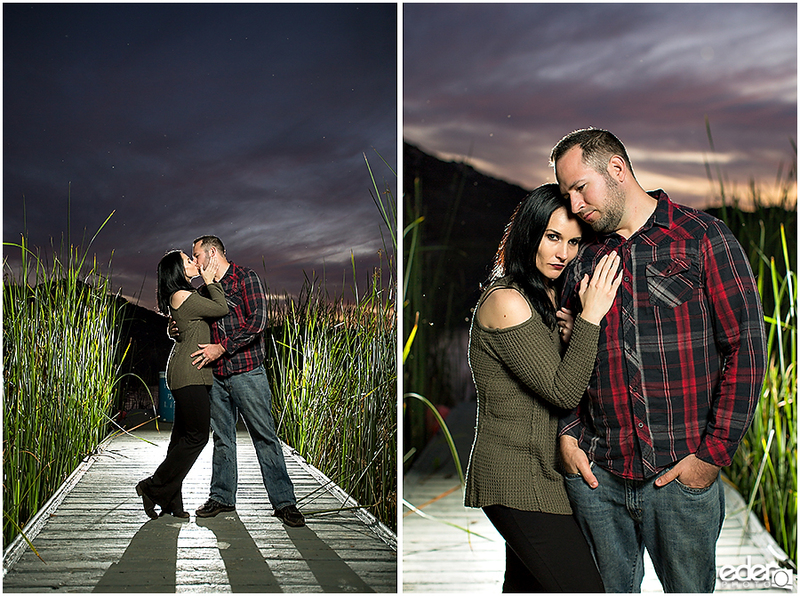 We finished the session by going down to a lake that was 10 minutes away. 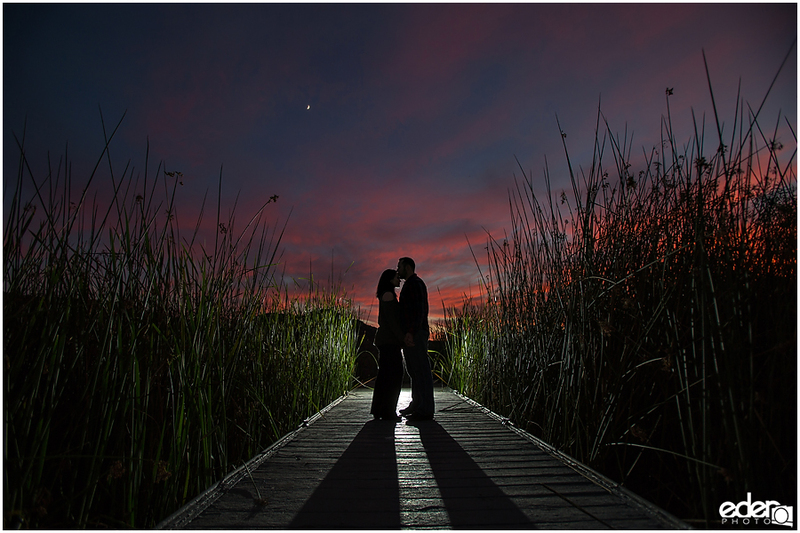 I did not have time to scout ahead of time, and there was no clear path to the lake from the parking area. 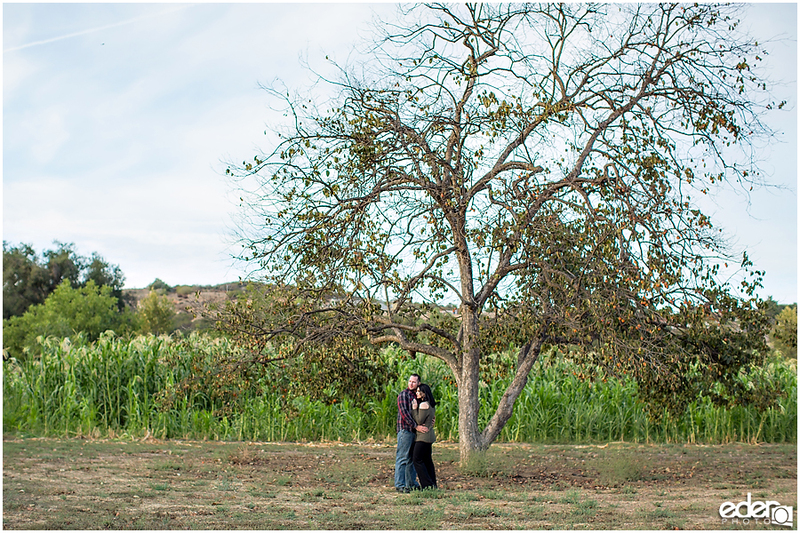 This did not stop us. 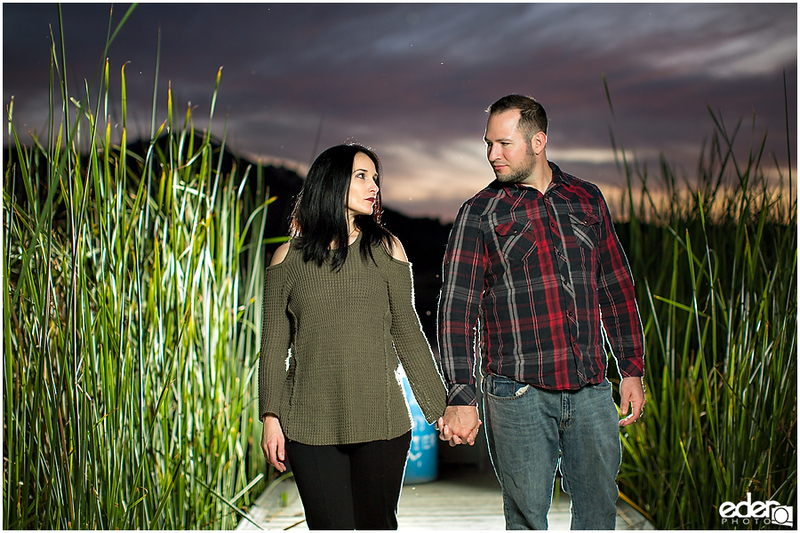 They showed that they are adventurous and walked into the unknown with me to find the perfect spot on the lake as it began to get dark. 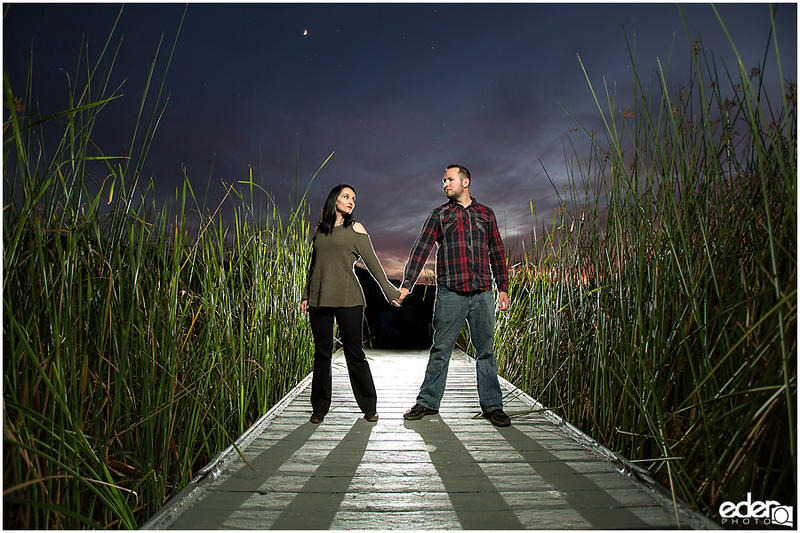 I’m so happy that they decided to push forward, because we ended up with some really cool photos in the end.